prestigious competition held in Brazil for violinists of all nationalities. 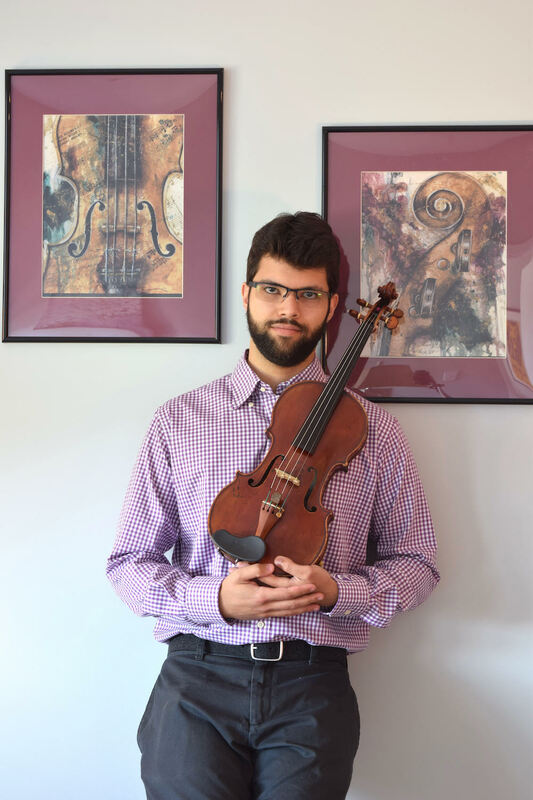 University in Pittsburgh, PA, Romulo taught violin to students as part of his graduate teaching assistantship, and has been working on building his private studio since then. Symphony. Romulo has also played under maestros Kurt Mazur, Manfred Honeck, and Alondra de la Parra; and had the opportunity to play in master classes for Shlomo Mintz, Noah Bendix-Balgley, Andres Cardenas, Miriam Fried, and other prestigious violinists. Currently studying with violin pedagogue Sally O’Reilly, Romulo is pursuing his Doctoral Degree in Violin Performance at the University of Minnesota. He also studied with Yuan-Qing Yu, Charles Stegeman, and Fredi Gerling, and holds degrees from Roosevelt University in Chicago, IL; Duquesne University in Pittsburgh, PA; and the Federal University of Rio Grande do Sul, in Brazil.